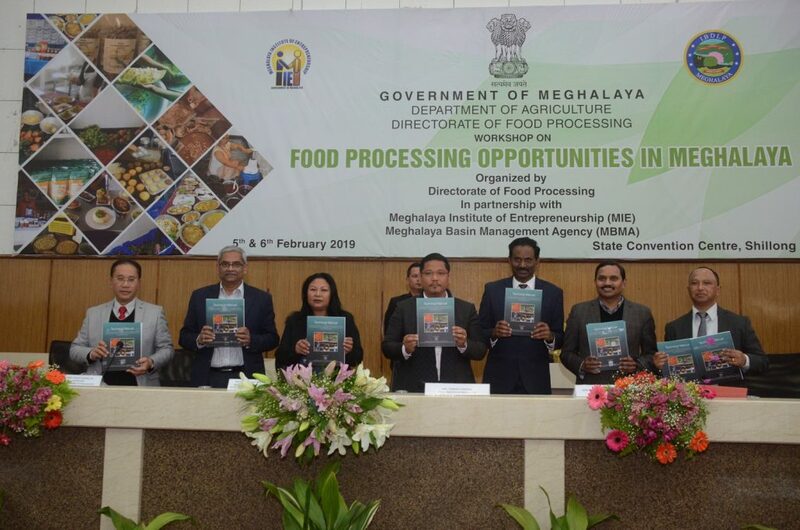 A two day workshop on ‘Food Processing Opportunities in Meghalaya’ organized by the Directorate of Food Processing in partnership with Meghalaya Institute of Entrepreneurship (MIE) and Meghalaya Basin Management Agency (MBMA) is being held at the State Convention Centre in Shillong, the capital city of Meghalaya. The workshop aims to create awareness of the tremendous opportunities for self employment and enterprise in the food processing sector amongst the target group especially the unemployed youth in the State. 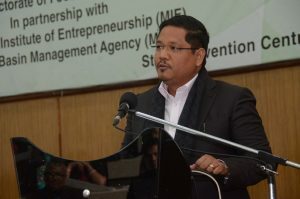 Addressing the gathering at the inaugural function, Meghalaya chief minister Conrad Sangma urged the people especially the young entrepreneurs to utilize the opportunities in the food processing sector. Stating that processed food accounts for only 10 per cent of the total agricultural produce of the State, the Chief Minister stated the need to expand the sector to create avenues for livelihood generation through entrepreneurship and improve the economic status of farmers. “Value addition has been one of the key focus area for the Government. Keeping this in mind, the Government has recently created the Directorate of Food Processing to tap the potential and give adequate thrust to agro processing activities in the State,” he said. The chief minister also stated the need for proactive participation from farmers at the grassroots level and rural entrepreneurs for the food processing industry to move forward. “It is not simply enough for the government to come out with policies or the agriculture and food processing industries to come up with innovative programmes and initiatives. Ultimately all this can only be activated when all concerned stakeholders are part of this process. It is the entrepreneurs, the farmers and the people to ultimately bring all of this together. I am of the firm belief that it is only through entrepreneurship that the economy of the State can move forward. We need participation from all to make the State grow and prosper,” the chief minister added. 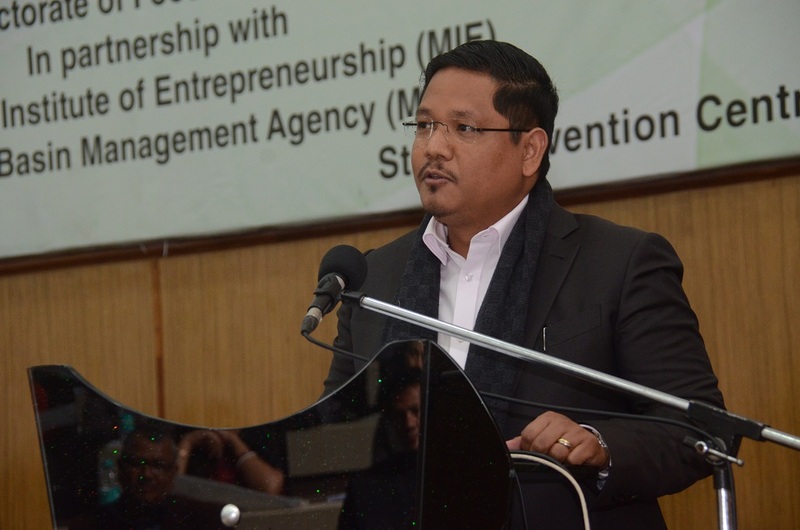 The Chief Minister informed that the government is taking a keen interest for the development of entrepreneurship in the State and has embarked on various programs to handhold, nurture and assist the budding entrepreneurs in the State. “I want to see young people get into entrepreneurship. I want the people of the State to develop an entrepreneurial culture. That is the reason why the government has initiated various programmes to help young people to take up entrepreneurship as a viable option for self employment and in turn create livelihood opportunities for others as well,” he added. The Chief Minister also urged the people to look beyond domestic markets and look at neighbouring countries as a source of marketing the goods produced in the region. “We share close to 440 kms of international boundary with Bangladesh. This is a huge opportunity for us, to market and sell our products to nearby neighbouring countries and beyond,” the Chief Minister said. Speaking at the function, Agriculture Production Commissioner, K N Kumar informed the gathering that according to the report of the Ministry of Food Processing Industries, the total value of food processing industry will touch Rs 3.45 lakh crore in 2020.